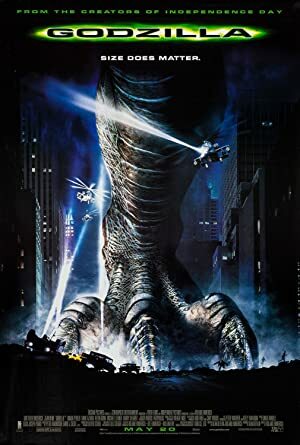 Godzilla (1998) – What's New on Netflix Canada Today! Following the French atomic bomb tests in the South Pacific, an unknown creature is spotted passing eastward through the Panama Canal. Scientist Niko Tatopolous is called in to investigate the matter, and he quickly arrives at the conclusion that a giant, irradiated lizard has been created by the explosions. Godzilla then makes its way north, landing at Manhattan to begin wreaking havoc in the big city. Even with the combined forces of the U.S. military to fight the monster, will it be enough to save the people of New York? A team of experts — including a biologist and two scientists — must stop an oversized lizard from destroying all of Manhattan.